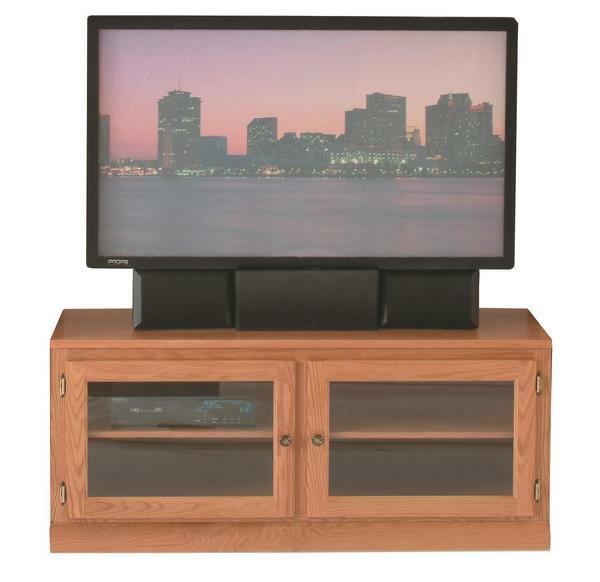 Enjoy the Amish Rollaway TV Stand with Two Glass Doors to display your TV, or use it in combination with the Amish Modular Wall Unit Entertainment Center for an incredible living room display that's sure to keep everything stored and displayed in style. This TV stand is built by hand in the wood you select. It's available in four sizes with features like soft closing doors and adjustable shelves too. There's plenty of solid wood storage in this TV stand. There's room to house your DVD player along with a collection of movies, music and games. Order online or get in touch today with any questions. Thanks for shopping at DutchCrafters. Note Entertainment Center and Bookcases Sold Separately.